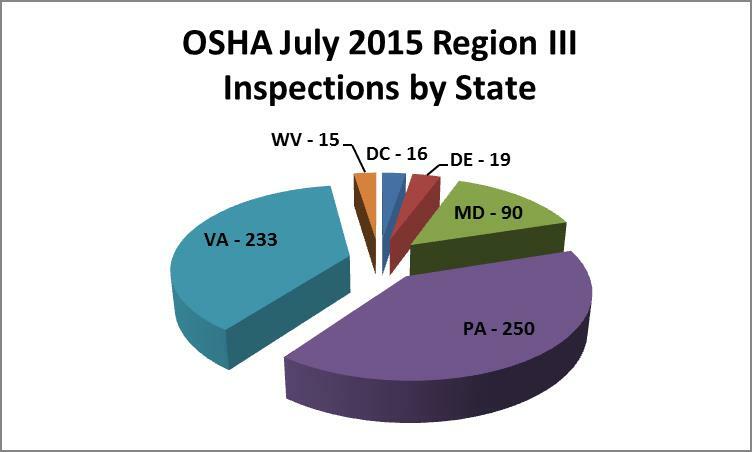 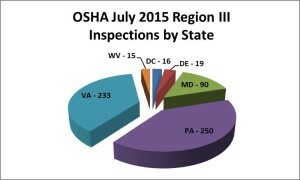 During the month of July 2015, OSHA‚ Region III offices conducted 623 workplace inspections. 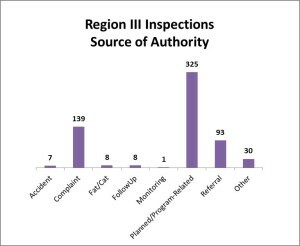 The majority of these inspections took place in Pennsylvania (250 inspections) and Virginia (233 inspections). 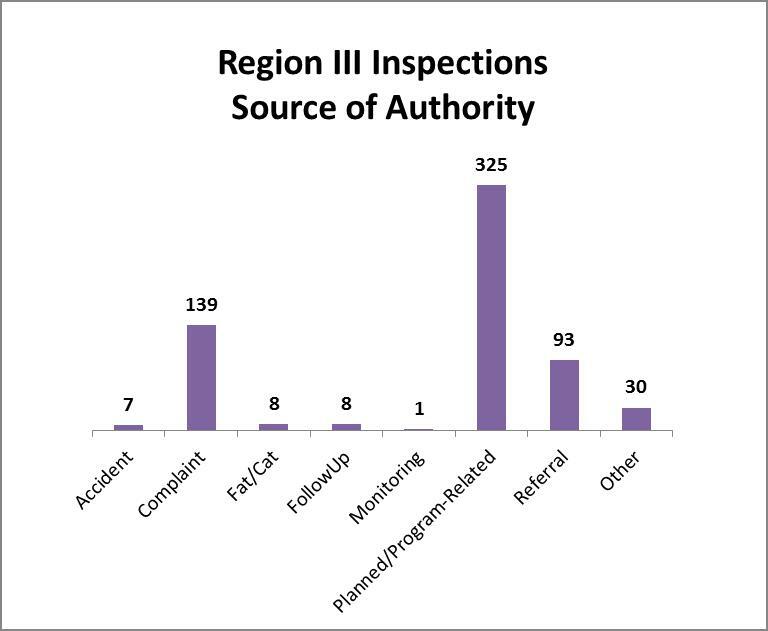 The chart below shows that most of the Region III inspections occurred due to Planned/Program-Related activity.